Looking for a parts car? This is kind of interesting. 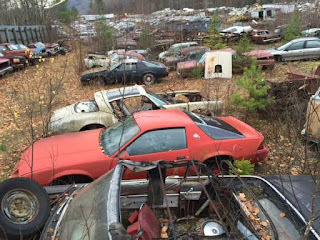 A junkyard in Vermont is selling off their junk cars. 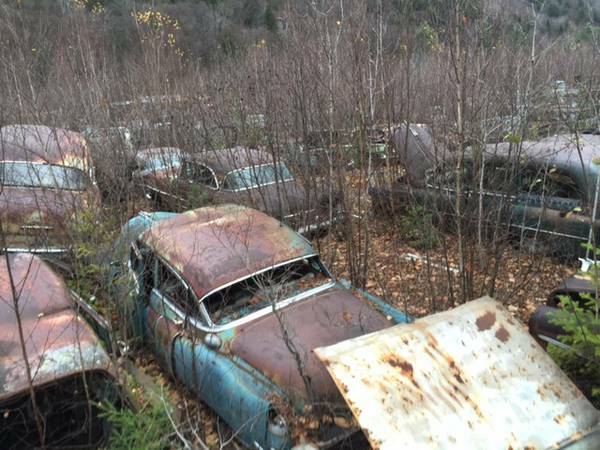 They say they have "over 400 cars" from the 1930s to the 1980s. " VW Beetles, vans, Ford, Chevy, Dodge, Chargers, Challengers, Corvairs, Desoto, Nash, Rambler, Cadillac, Camaro, Impala, C10, C20, Comets, Cougars, Edsels, Firebirds, Mustangs, Meteor etc." I spotted a Triumph Spitfire in one of the pictures along with a few VW Rabbits. "The prices are $500.00 for any car" and "$500-1000.00 for all trucks in the vintage pickup/truck line." The downside here is that Vermont is not exactly known for it's warm, dry, climate. Who knows what shape these cars are in. Take a look at the pictures. 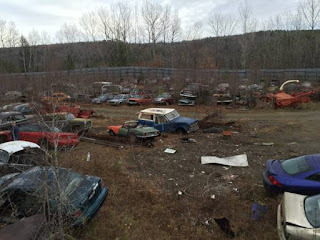 If you're in New England and need a parts car, it may be worth the trip. 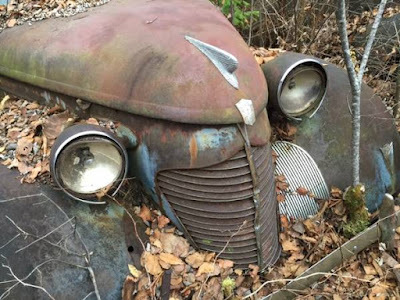 If nothing else, you'll get some exercise, beacause as the seller states in his ad, "These cars are scattered everywhere so the location of your dream vehicle is unknown. Get ready to do some walking." Located in Hardwick, VT, click here to see the Craigslist ad. Soooo glad I kept checking to see if you were back! Thanks for returning, hope all is well!